Ken Ploen was drafted by the San Francisco 49ers of the NFL, but decided to come to Canada and play for the Winnipeg Blue Bombers. In 1957, Ploen played in both the Rose Bowl game and the Grey Cup game. Ploen was an excellent defensive back as well as quarterback. During his quarterbacking career he completed 1,084 passes for 16,470 yards and 119 touchdowns. In the 1962 season he had a record low four interceptions from 208 passes. Ploen scored the winning touchdown in the 1961 Grey Cup game and was the starting quarterback in the 1962 Grey Cup game. 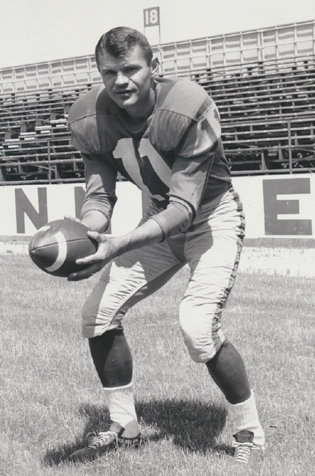 Ken Ploen was named the Winnipeg Blue Bombers Outstanding Offensive Player of the Half-Century.